Nonfiction writing requires that we be authentic. 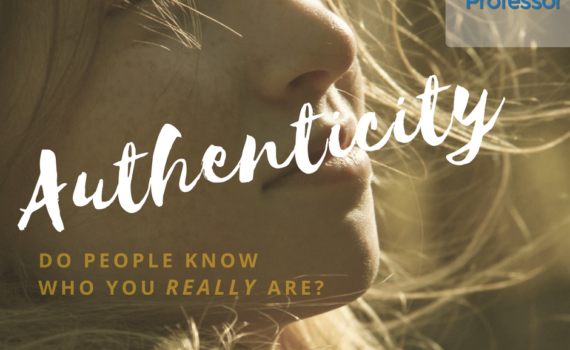 Webster’s dictionary defines authentic as “not false or imitation” and “true to one’s own personality, spirit, or character.” Webster makes it sound so simple. But if you’re like me, it took a long time to become the person I was created to be, to truly embrace my authentic self. As a child, did you feel pressure to become the person an authority figure thought you should be? Did you feel accepted when you behaved and acted in ways that they approved? As an adult, did you realize that the person you present to the world wasn’t really you at all, but because of an underlying need to be accepted by others, you kept up the facade anyway? For a long time, that’s what I did. Living an authentic life was something I had to learn. As a nonfiction book coach, I have the opportunity to work with people from all over the world. Whether their nonfiction writing is about a new method of cooking or how they overcame a painful childhood trauma, I always tell them the same thing: your audience deserves to know the real you. Your personal story is one of the most important parts of your book. Some writers, particularly if they’re writing a business book, want to leave out this part and simply share their knowledge or instruct the audience. That would be a mistake. And your readers don’t want the whitewashed version of you. Share your high points and the deep canyons, the wins and the demoralizing losses, the beautiful and the ugly. You must be real and transparent. When you’re open and honest, you give the reader permission to be open and honest, too. That’s what’s so effective about my Executive Group Coaching classes. You get to share your failures and foibles in a safe place, test out your message with others in the class, and gain strength from doing so—before you bare your skin to the world. What about you? Are you ready to show people who you really are? If you or someone you know wants to learn to how to write a nonfiction book, please contact us today!